2-4-14 – Interested in a low maintenance landscape around your home? Lawns, shrubs, trees, perhaps some blooming annuals and perennials, that will require no more than a few moments of your time every month during spring, summer and fall, and zero devotion on your part in winter? I have two words for you: apartment living. “Low maintenance” became the buzzwords of the American gardening/landscaping industries starting around ten years ago, right after the shocking revelation that sales of plants and gardening related products and services had declined from the previous year. Prior to that – from as far back as the 1950s – Americans had always spent more money on gardening and landscaping projects in each successive year. During this boom time, a crucial reality was always present in the minds of homeowners: The plants on our properties are going to require maintenance. 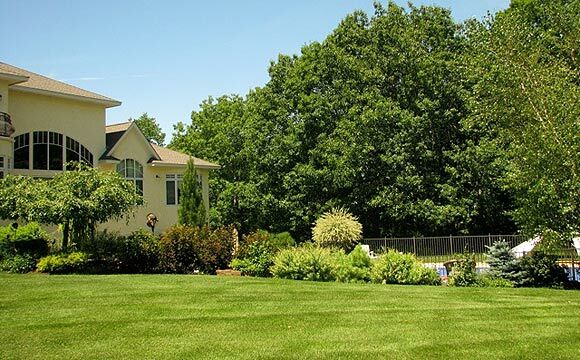 There’s a lawn to mow, shrubs and small trees that will require pruning, perennials that will need to be divided, annuals that will need planting each season. Every spring you’ll have to spend a few hours – to a few days – cleaning things up, then count on doing the same in the fall. It came with the territory. So homeowners learned how to do it. It was an intricate component of a hobby called “gardening,” and millions of Americans found these maintenance chores to be a necessary requirement to an overall highly enjoyable pastime. Then the bubble burst in 2003. Annual expenditures on plants, gardening products, and landscaping services took a dip, then another, and another. The gardening industry panicked. Growing plants is too mysterious, the industry brain trust reasoned, too complicated, we mustn’t let on that there is a learning curve involved, some elementary science to master, or that once in the ground, plants require maintenance, which involves acquiring knowledge and devoting time to their care. Yes, that’s the front door on the right. And yes, there is a bedroom window in the left corner. 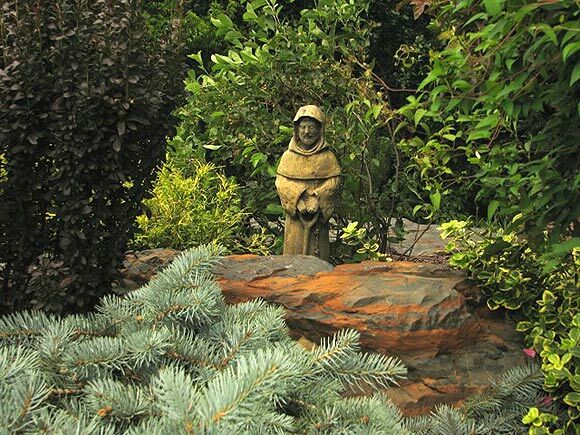 “Low maintenance” trees, shrubs, perennials, annuals, and, in combination, low maintenance landscapes, became the new mantra. Unfortunately, it’s all a myth. It’s a myth even if you desire to go native. Writing on this topic for a publication, I tossed in a line about native prairie being about the only true low-maintenance landscape one could install. Then the editor sent me an e-mail: She had installed a native prairie on her large property years ago, and found it to require no less maintenance than any other portion of her landscape. She deleted the line from the published article. You see, the plants haven’t changed much. They still want to grow. Many still get larger than the plant tag inferred, they still get damaged from dogs and kids and snow and ice and disease, some plants still require shearing and pruning to look their best. The perennial that never needs dividing hasn’t been developed yet – though I guarantee you that somewhere, some plant geek is working on it. Heck, I’ve even seen “zero maintenance landscapes” touted as an achievable goal, when they aren’t, unless you want fake plastic grass and plants. So what’s a homeowner to do? Of all plant types, trees require the least amount of annual care. When I say trees, I’m talking about the entire spectrum, literally hundreds of genera and varieties, from smaller ornamental trees to dwarf evergreen trees to large shade trees. Properly planted, watered sufficiently when young, and fertilized once a year in spring, a tree takes up space in the landscape (however much you choose) with minimal care. Even when pruning is necessary, it’s most often a one-time exercise for the homeowner, with perhaps a once-a-decade phone call to a tree trimmer for larger deciduous trees, but not until twenty or more years down the road. 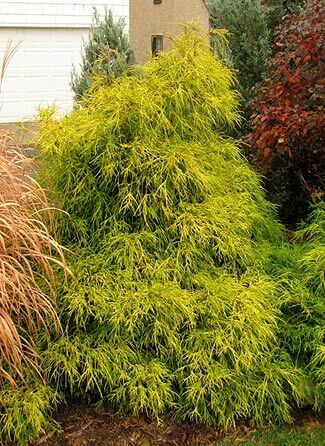 There are many attractive evergreen shrubs that do their thing without much help from humans. Most varieties of Arborvitae, Yew, Hemlock, Chamaecyparis and Juniper, if planted in proper soil type and sunlight exposure, require little more than watering, spring fertilization and an annual spring cleaning of organic debris from the base. Chamaecyparis ‘King’s Gold’ planted in the right spot and left alone for ten years now. I find upkeep of evergreen shrubs far less time consuming than deciduous shrubs, many of which have a tendency to expand their territory via sending up suckers, drop their leaves in fall, all while growing misshapen and larger than you planned on after only five years. Unless your goal is a tightly clipped evergreen hedge, evergreen shrubs require far less pruning than deciduous shrubs. If your goal IS a tightly clipped evergreen hedge, learn when and how often to shear it with either a manual or electric hedge shears. Shearing is easy. Trust me, you’ll need the knowledge. In northern zones, spring removal of branches that have suffered winterkill is essential to maintain attractive stature. In all zones, these shrubs eventually grow large and misshapen. If you fall in love with shrub roses, well, you had better learn how to prune them. (Hint: leather gloves). For a good article from this site on pruning deciduous shrubs, click here. Plan for spending a bit of maintenance time with them, that is. I consider perennials an essential component of the landscape, but new gardeners need to realize that virtually ever perennial on your property will require division about every three years, will require weekly, deep watering, and occasional deadheading, if your goal is to keep perennial garden areas looking attractive. I love performing every task in the previous sentence. Once you get into it, you will too. What is more fun and rewarding than planting a lovely hosta, bold ligularia, or a six-foot ornamental grass, then spending time a few years later dividing it into three, spanking new plants? 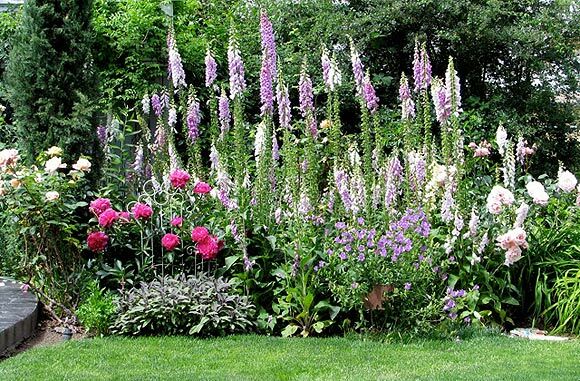 Or spending a lovely half-hour in the garden after a terrible day at work, deadheading a dozen or so perennials, aware that more often than not, this act will cause fresh bloom color in a few weeks? Unless you properly prepare the soil and continue to top dress every few years with organic matter, perennials also will require fertilization each spring to maintain their health. Scratch in ample amounts of organic granular fertilizer around your perennials in spring. It’s an enjoyable task. What, you didn’t enjoy feeding your children when they were in highchairs? Adding a vegetable patch is never a bad idea, but of all components of a landscape, it is the most time consuming, requiring near daily perusal and care if you are to grow the plants properly and avoid potential pests and other problems. Start small—a four-foot by eight-foot space will deliver a large amount of produce at harvest time. Maintaining a vegetable patch is something most children will enjoy, far more than growing flowers, and is a good way to entice the next generation of gardeners. When they hit age 12, teach ‘em how to can. Unless you can afford a full-service lawn care company and an irrigation system, limiting the amount of space devoted to lawn will greatly reduce maintenance time. Watering, mowing, fertilizing, and raking a lawn adds up to far more time than it takes to maintain a space of equal size in which you have planted small trees, shrubs, and even perennials. Any attractive area of the landscape that doesn’t have plants will be as low maintenance as it gets. If you desire a large flower garden, put a two-foot wide pathway through it. If the garden meanders for a length of thirty feet, that’s sixty square feet of space where you have no plants to care for. 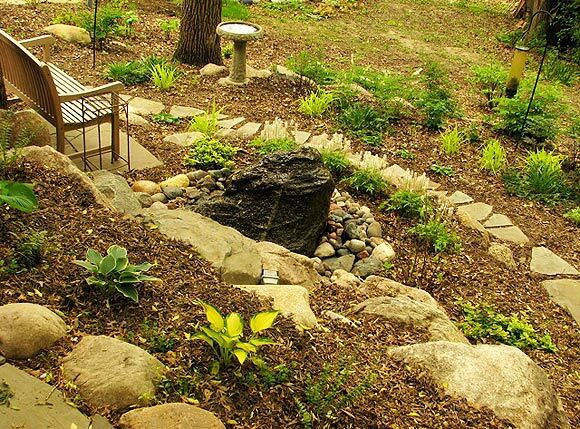 Pathways, patios, birdbaths, fountains, sculpture, boulder outcroppings, all take up square footage in the landscape while requiring from zero to a meager amount of maintenance time. Spending time maintaining a landscape comes with the territory. Unlike washing the car, clearing out the gutters, doing the dishes and cleaning the toilet, it eases the mind, raises the spirit, extends the lifespan and enriches the soul.